Pre-plans, Procedures, Safety Data Sheets, and Training Records. of our customers data has been a priority for Safety Sense. Clarification on the use of a cold compression device is considered medical treatment.
" SafetySense Management System has completely surpassed our expectations. Thanks for the great service. " " I was amazed at the quality of SafetySense Management System. Not able to tell you how happy I am with… "
" SafetySense Management System has really helped our business. Just what I was looking for. " " After using SafetySense Management System my business skyrocketed! Keep up the excellent work. 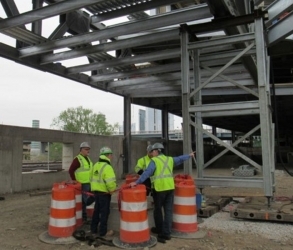 SafetySense Management System has got everything I… "
OSHA requires atmospheric testing for evaluation of the hazards of the permit space and verification that acceptable entry conditions for entry into that space exist. 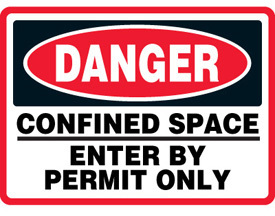 For the evaluation phase of the testing, the atmosphere of a confined space should be analyzed using equipment of sufficient sensitivity and specificity to identify and evaluate any hazardous atmospheres that may exist or arise, so that appropriate permit entry procedures can be developed and acceptable entry conditions stipulated for that space. 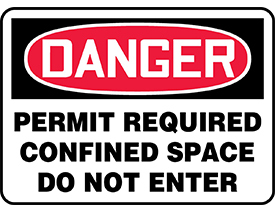 Testing results obtained during the evaluation phase get hard-coded on the entry permit and become the acceptable ranges required for entry into a particular confined space. For the verification phase of testing, the atmosphere of a permit space which may contain a hazardous atmosphere should be tested for residues of all contaminants identified during the evaluation phase of testing using permit specified equipment to determine that residual concentrations at the time of testing and entry are within the range of acceptable entry conditions. Results of testing (i.e., actual concentration, etc.) should be recorded on the permit in the space provided adjacent to the stipulated acceptable entry condition. Testing results obtained during the verification phases and recorded on the entry permit must be maintained for a minimum of 1 year. Through the use of SafetySense Management System’s patented and fully integrated functionality, atmospheric testing data, and the information specific to the monitor/equipment used to collect the testing results, is entered into the on-line permit or on the printed paper version of the permit during execution at a predetermined frequency and maintained for a minimum of 1 year post permit termination. Post permit termination, ALL atmospheric data collected can be downloaded via the atmospheric monitor’s data logging system, if applicable, and printed. The printed atmospheric monitoring data report can then be uploaded and stored with the terminated permit and all other associated data collected during permit execution for a minimum of 1 year. 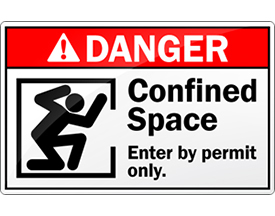 OSHA requires that all personnel working in or around confined spaces attend and successful complete the level based training specific to the functional role(s) he/she may be performing. Examples of such functional roles are Attendant, Entrant, Supervisor, and Rescue Team Member. The SafetySense Management System affords employers the ability to minimize non-compliant training vulnerabilities through the assurance of training program continuity for both internal employees and external contractors. Upon successful completion of training, the employee/contractor training credentials are presented to the employers SafetySense Administrator and the employee/contractors name is entered into the SafetySense Management System for the functional role(s) successfully trained to perform. Once an employee and/or contractors name and associated functional role(s) for which he/she has been successfully trained to perform is in the SafetySense Management System, their name will only be available for selection from the drop down menu for that particular role(s). Simply put, if an employee and/or contractors name does not appear in the drop down menu for a particular functional role then he/she is NOT PERMITTED to perform that role…..no exceptions. As the training expiry approaches for an employee/contractor, a system generated email notification is automatically sent to the employee/contractor. Safety Data Sheets (SDS) contain information that is critical to the safety and welfare of personnel working with and/or exposed to chemicals during a normal workday. 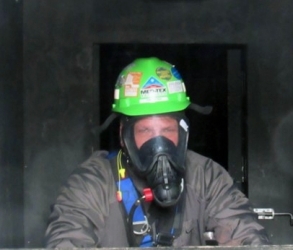 Through the use of SafetySense Management System’s patented and fully integrated functionality, Safety Data Sheets specific to chemicals associated with a particular Confined Space(s) or Permit Required Confined Space(s) are managed and readily available for proactive review by personnel entering the area of potential vulnerability. Although the SafetySense Management System is built on a Confined Space platform, its patented and integrated functionality allows for the management and retention of any permit, OSHA and/or Company required. Following is a list of typical permits managed in the SafetySense Management System. OSHA defines operating procedure as “a set of instructions having the force of a directive, overing those features of operations that lend themselves to a definite or standardized procedure without loss of effectiveness.” While Procedures are high-level and not intended to be all inclusive documents, they do serve as the foundation for support documents such as preplans. In and of itself, preplanning is a proactive approach to identifying, mitigating and, when possible, eliminating hazards. 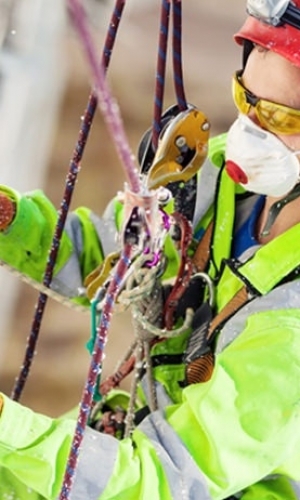 The outcome of well-prepared procedures and a robust planning process is a preplan, a critical reference document used by ALL personnel performing work in areas where potential hazards exist. Although Procedures and Preplans are standalone documents typically stored and maintained in separate binders or electronic systems, SafetySense Management System’s patented and integrated functionality allows for these important documents to be maintained in a system that is password protected and accessible by fully trained and qualified personnel, employees and contractors alike.